You have everything ready for when your baby is born. You have a complete team of specialists in obstetrics and gynaecology, anaesthesia, paediatrics and mother - baby nursing at your service that will care for both of you before, during and after delivery. 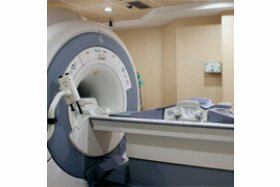 The latest technology applied to health and the best services for greater care and comfort. •Neonatal ICU. 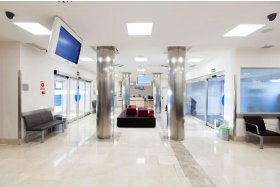 Specialised in handling premature babies, neonatal and paediatric post-operative care. Attended 24 hours a day by experts in neonatal intensive care. •High Risk Obstetrics Unit. 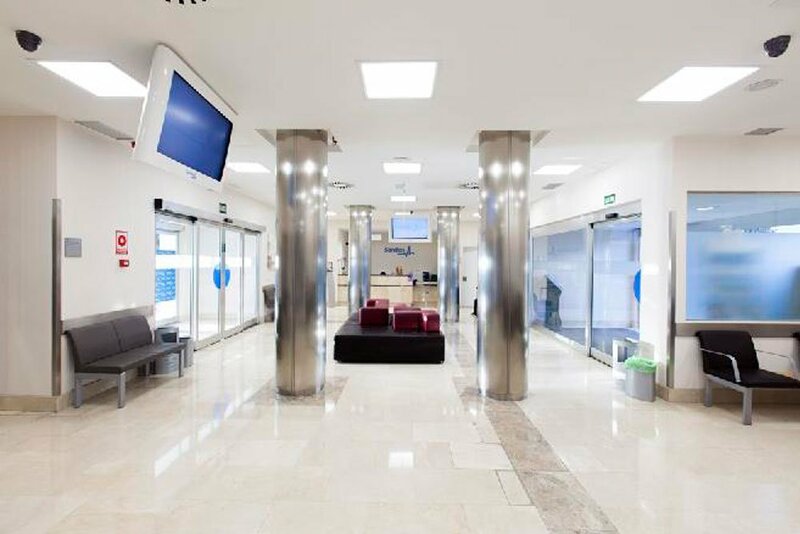 Designed to monitor the mother and her baby in special situations during pregnancy, which personalised and multidisciplinary care, providing the best prenatal and neonatal care possible. Always with certified Medical Excellence. BFHI certification (The initiative set up to humanise healthcare in maternity hospitals and to promote breastfeeding. WHO and UNICEF). Prenatal classes, free for Sanitas customers. Midwife consultation, with monitoring throughout the pregnancy. Welcome talk for expectant women and their companions. Non-invasive genetic testing of maternal blood. Physiotherapy for expectant women. It will help you to prevent post-natal pain and discomfort. Aesthetic care to prevent and reduce the negative changes that could arise: stretch marks, varicose veins, swollen legs, hyperpigmentation, etc. Sanitas Umbilical Cord. The service for preserving umbilical cord stem cells in a private bank. Umbilical cord stem cells can be used to help some hematopoietic conditions. Humanised birth with minimum intervention. The delivery and post-birth care model that guarantees mother-foetal safety whilst being closer, more respectful and focused on the physiology of mother and baby. During delivery, whether labour or caesarean, you can be constantly accompanied by the person of your choice. Obstetrics bathtub (if you want to use hydrotherapy as a method of analgesia). Wired monitor and wireless monitor (connected to the central monitor). Birthing sling or ceiling mounting for delivery standing up. Obstetrics ball or fitness ball. We you the benefits of skin to skin contact after delivery, including skin to skin in caesarean deliveries. Personalised advice and support in breastfeeding. Daily gynaecology check-up in the hospital. Functional study of the pelvic floor for correct recovery with rehabilitation support classes. Private room on the ward, with private bathroom and shower, Wi-Fi, multi-channel television and services for companions. 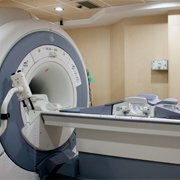 Ask the hospital about all of the comforts available for them too. Monitoring from the midwife on discharge. Post-surgical call, once you are home. When you are discharged, your midwife and/or gynaecologist will give you your monitoring consultations schedule. Find out about the circuit, facilities and medical and obstetrics nursing team that will attend you. Welcome. 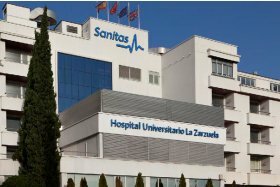 *Services offered by Sanitas S.A. de Hospitales (Sole Proprietor Company) belonging to Sanitas Group and exclusively in the reference centre. 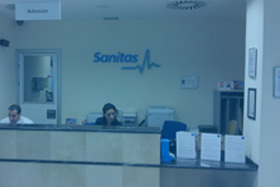 These services are not covered in general by any Sanitas S.A. de Seguros insurance product. 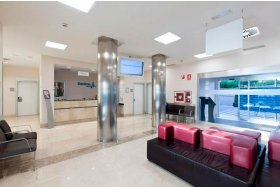 Check the terms and conditions and service availability in your nearest hospital and Milenium Medical Centre. 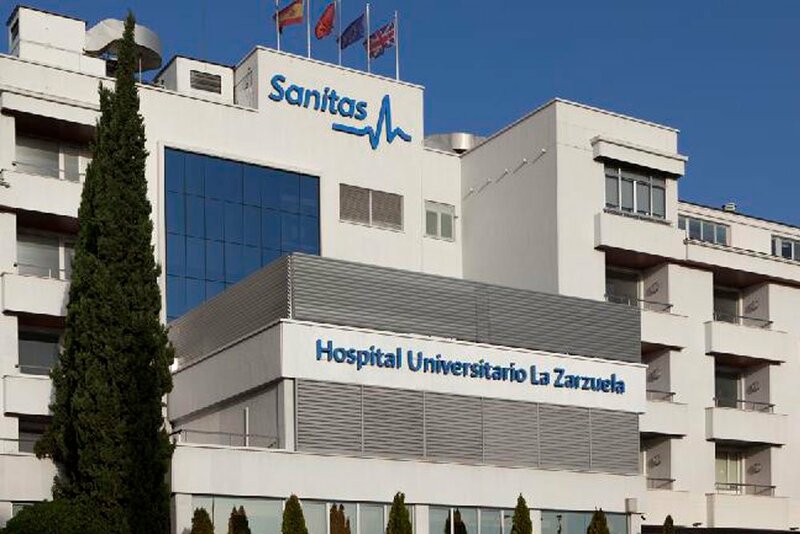 The Thousand Grams of Dignity exhibition visits Sanitas' La Moraleja and La Zarzuela university hospitals. We use our own and third-party cookies to improve our services and learn your preferences by analysis of your browsing habits. By continuing to browse, we consider that you accept their use. You can access our cookies policy for further information.